Given that most of the Nikon 1 J3’s auto modes do not allow manual control over white balance and colour, I was particularly keen to see what the colours are like straight out of the camera. Thankfully, they are generally accurate, punchy and print-ready. 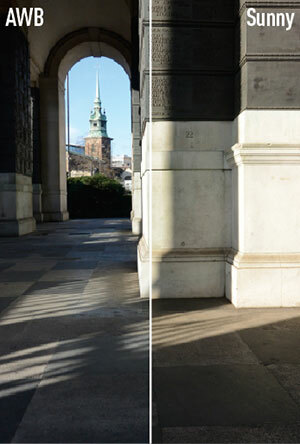 When using one of the manual-exposure modes – which is possible when the shooting mode dial is set to creative – one can take manual control of white balance and colour. In the picture control menu, there are the usual modes such as standard, vivid and monochrome, with the option to tweak sharpening, contrast, brightness and, in the case of the monochrome mode, add filter effects and toning. On a bright sunny day I find the standard mode renders bright greens and blues very well, while the vivid and landscape modes are too saturated. As for white balance, there are times when the colour rendition is a little cool, so I found myself switching between AWB and the presets to maintain some warmth of tone.